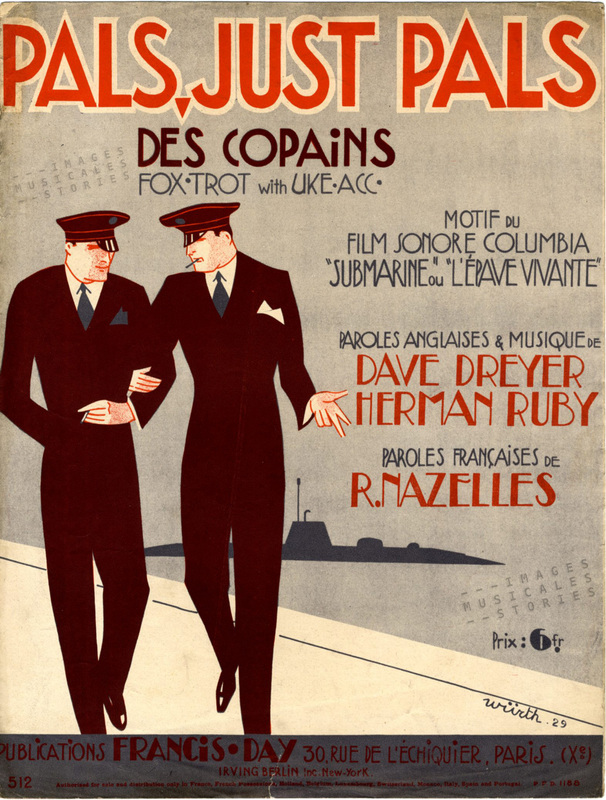 ‘Pals, just Pals‘, by Dave Dreyer & Herman Ruby, french lyrics of ‘Des Copains’ by René Nazelles. 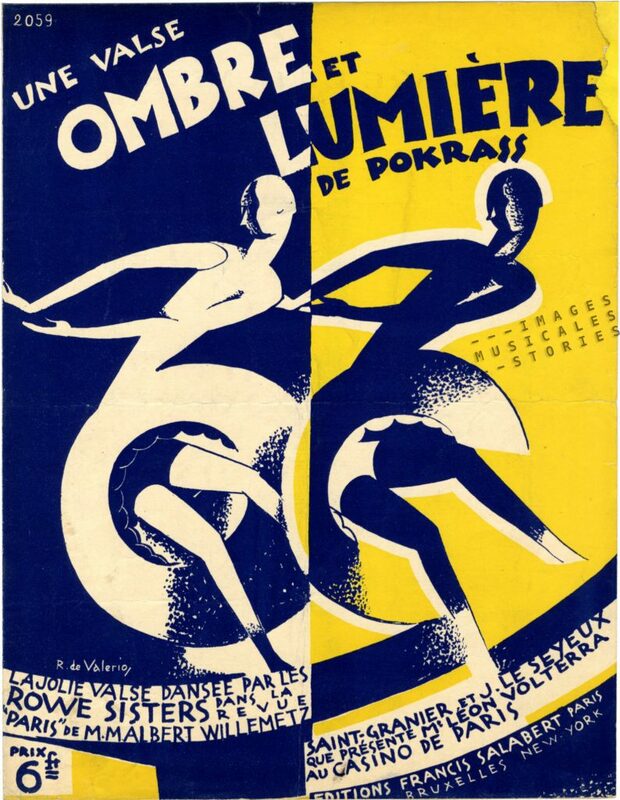 Sheet music published by Publications Francis-Day s.a. (Paris, 1929). 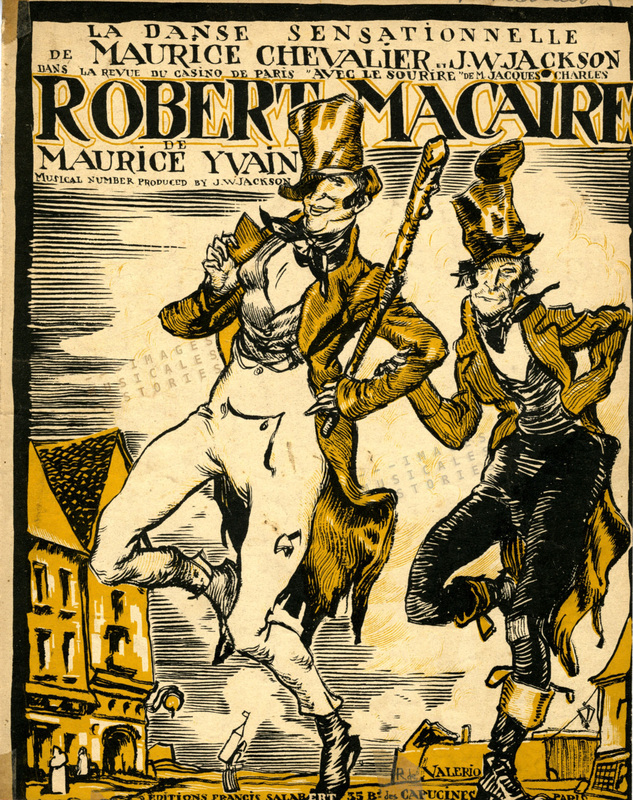 Cover illustration by Würth. 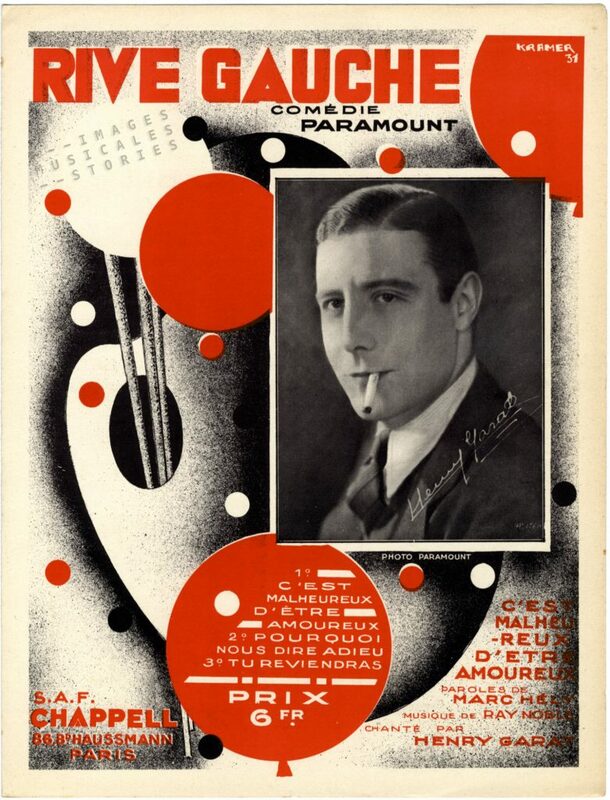 I am often surprised by the direct power of many covers designed by Würth. The drawing for the ‘Pals, just Pals‘ fox-trot is deceivingly simple. With a few elements, sober colouring and small gestures the image relays the mild mood of an intimate and relaxed conversation between two long-time friends. Or do you imagine the two naval officers being more than friends? 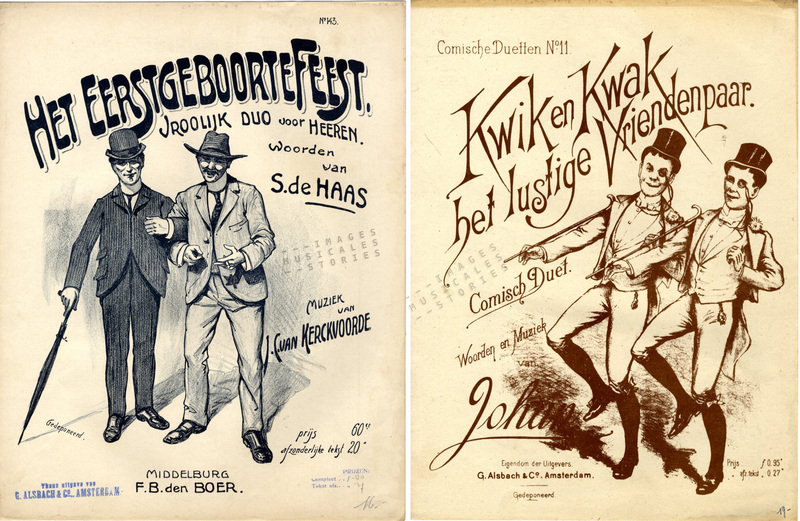 The US version of the ‘Pals, just Pals’ song published by Irving Berlin. 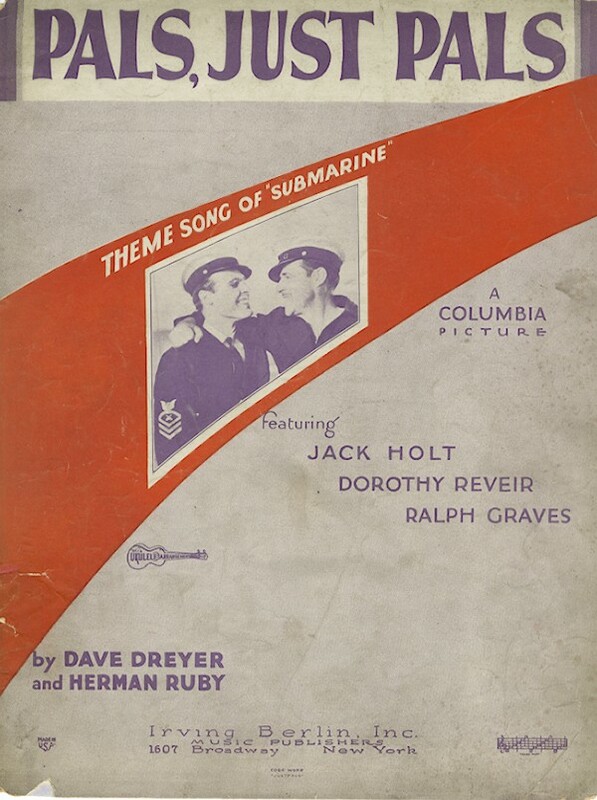 ‘Pals, just Pals‘ is the theme song of the silent film Submarine directed by Frank Capra in 1928. It tells the story of the friendship between two sailors in the US Navy. The nautical best friends accidentally pursue the same woman, and through this triangular love situation their friendship comes to an end. The film comes to the heart of the matter when both ex-friends get involved —one as a victim the other as the saviour— in a submarine disaster. The denouement of this tragic experience is that their old friendship will renew, and for the better! 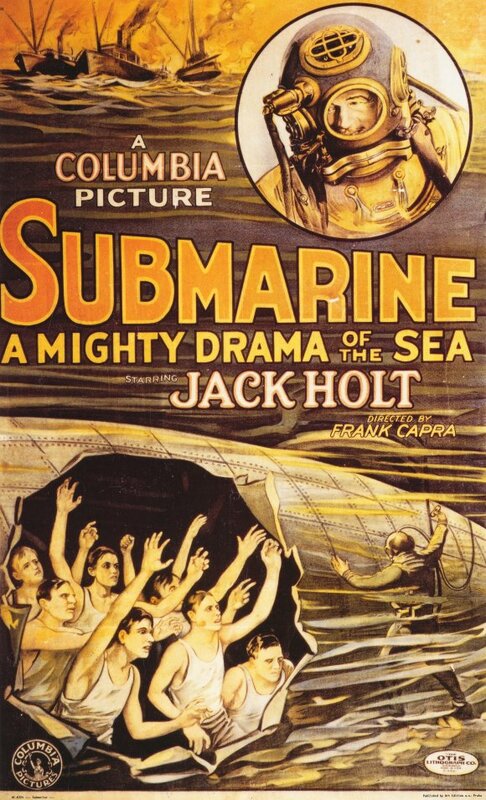 The film is inspired on the catastrophe of the U.S. submarine S-51 in 1925. There even exists a dedicated webpage about this accident at sea. The one and a half hours Capra film is on YouTube (type ‘submarino‘ for your search) but a short extract of the movie will do in order to appreciate its male flavour. For the rest of this post, I will entertain you with other masculine friendships. 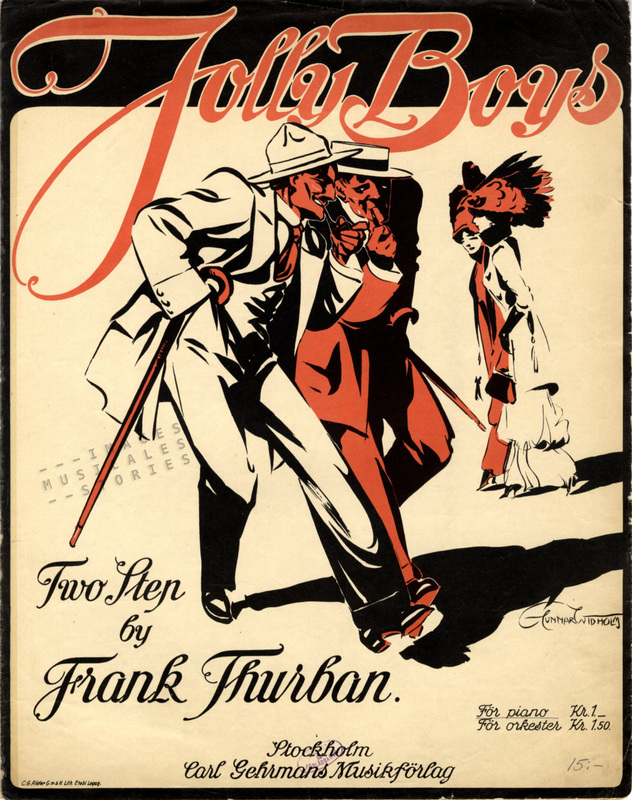 ‘Jolly Boys‘ by Frank Thurban. 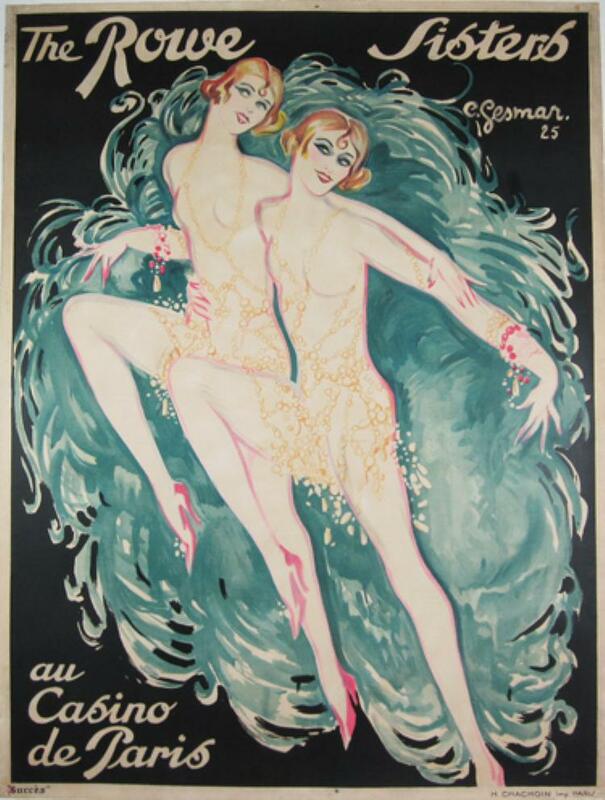 Published by Carl Gehrmans Musikförlag in Stockholm, s.d., and illustrated by Gunnar Widholm. 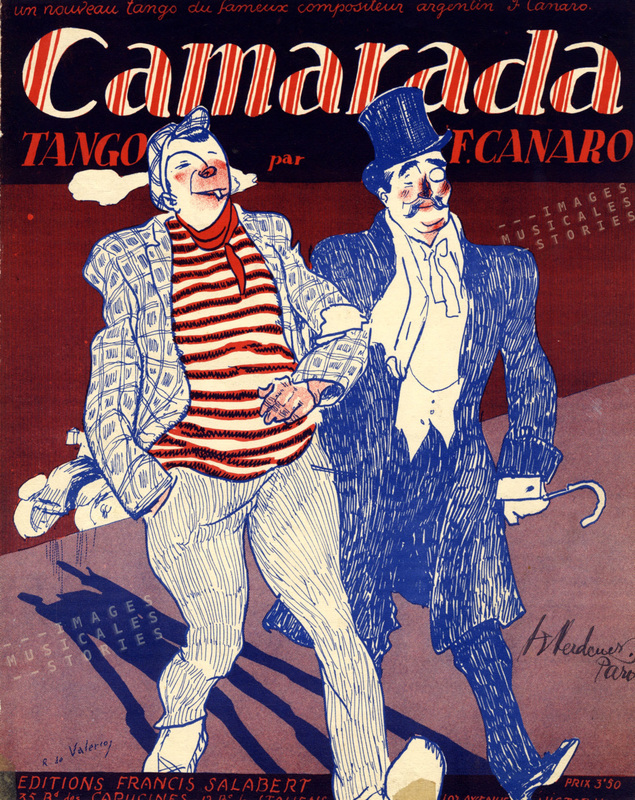 ‘Camarada‘ tango by F. Canaro, published by Francis Salabert (Paris, 1923) and illustrated by Roger De Valerio. 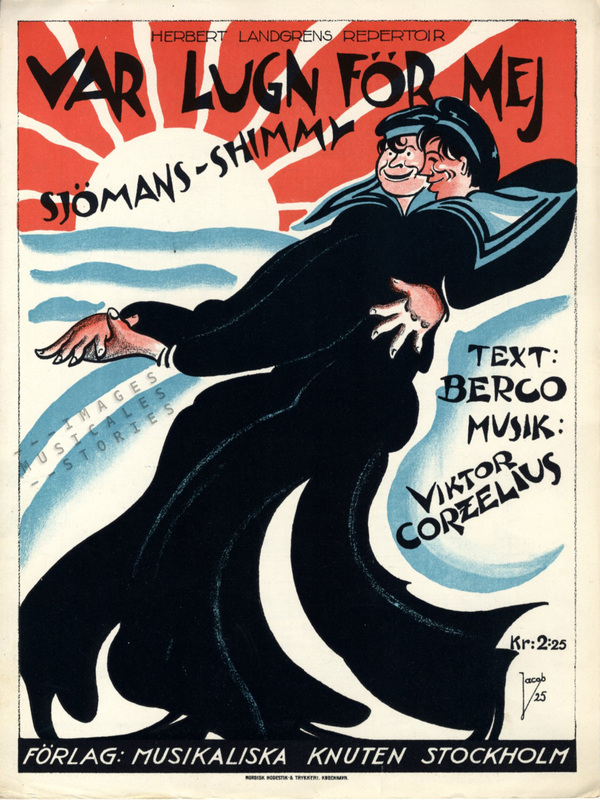 ‘Var lugn för mej (Sjömans-Shimmy)‘ by Victor Corzilius & Berco. 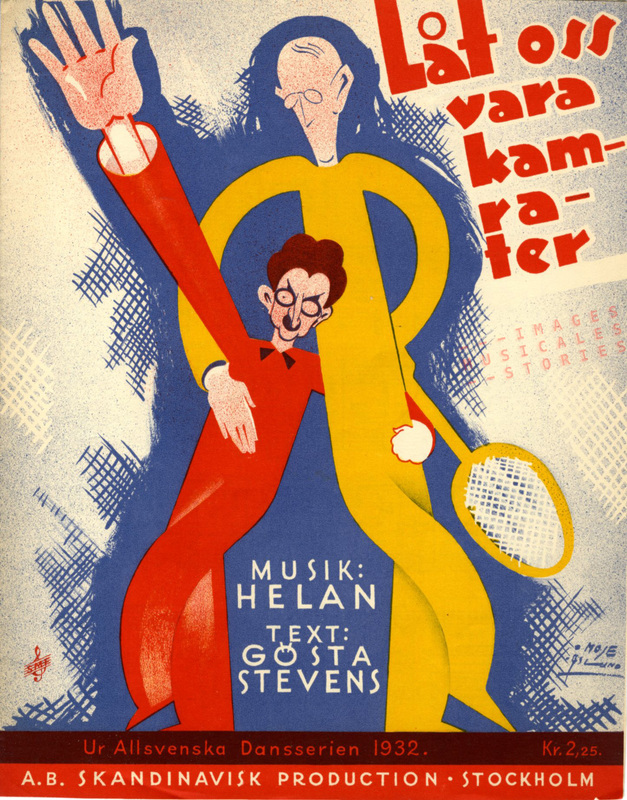 Musikaliska Knuten (Stockholm, 1925), illustrated by Jacob. 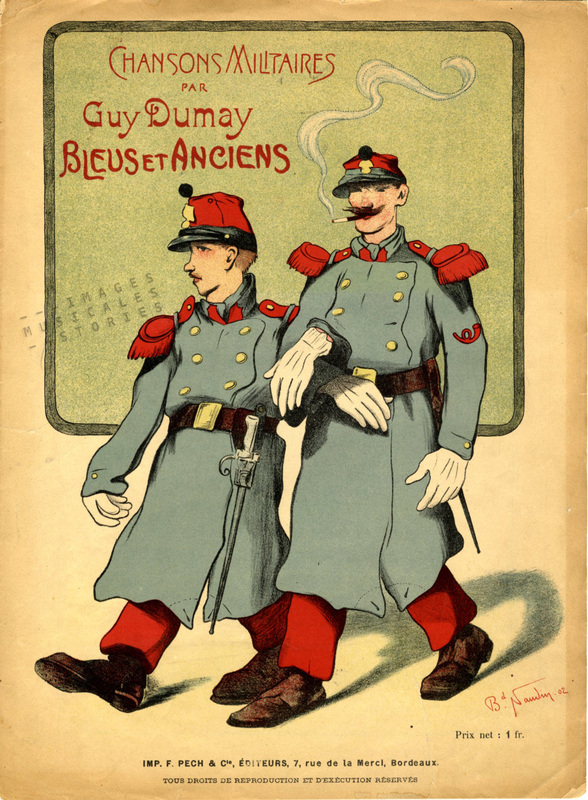 ‘Bleus et Anciens‘ by Guy Dumay Published by F. Pech & Cie (Bordeaux, 1902) and beautifully illustrated by Bernard Naudin. ‘Briqmolle et son camarade‘ by Ant. 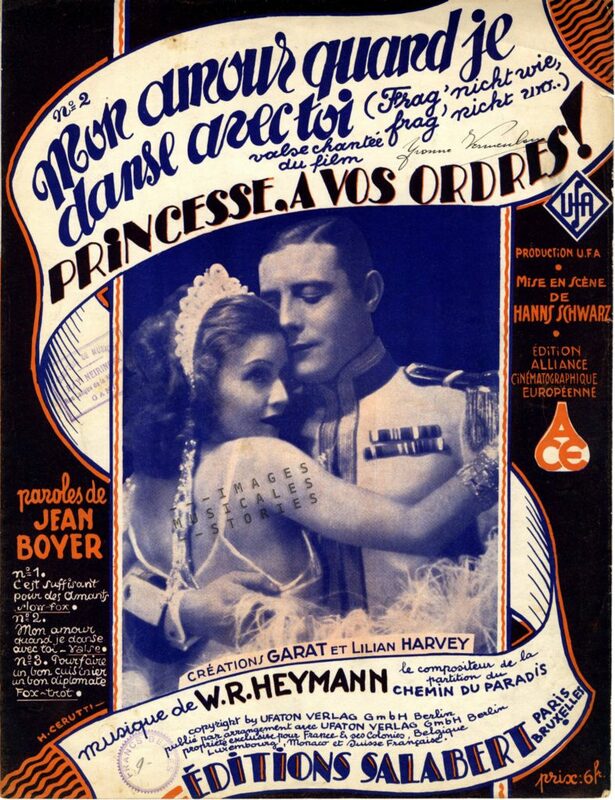 Queyriaux & Chicot, published by Emile Bénoit – Au Métronome (Paris, s.d.). Cover illustrated by Charles Gangloff. 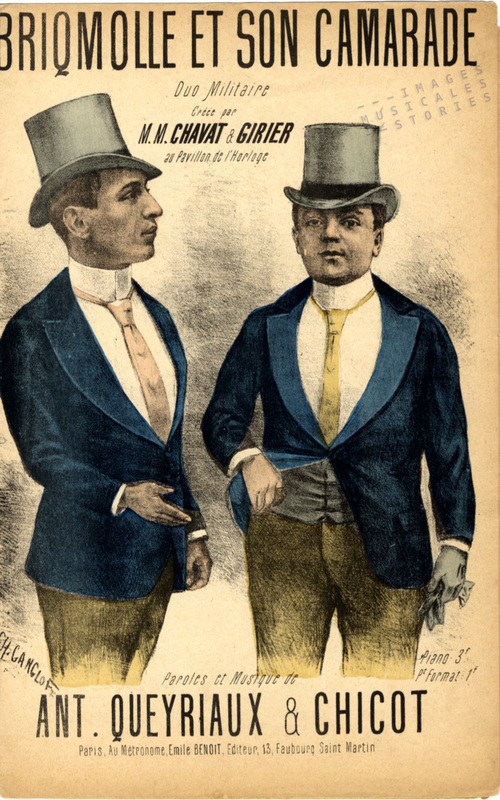 Now these two last gentlemen have a very Gilbert and George attitude. The perfect reason for us to look at a short documentary on their Living Sculpture performances. The song ‘Underneath The Arches‘ is at 1:30. 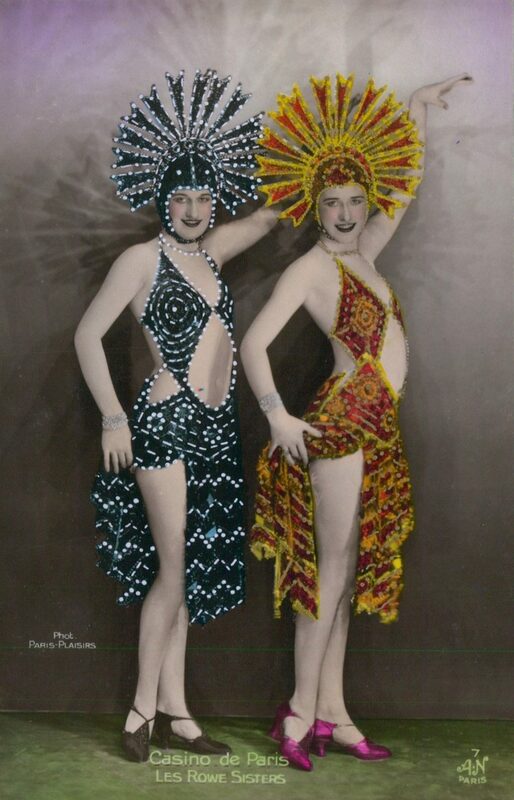 How very moving it is to hear and see them singing this 1932 Flanagan and Allen ‘Great Depression’ tune.